Carnival Cruise Line today revealed plans for a nearly $200 million bow-to-stern makeover for Carnival Triumph in the spring of 2019 that will include renaming the ship to reflect its significant transformation. 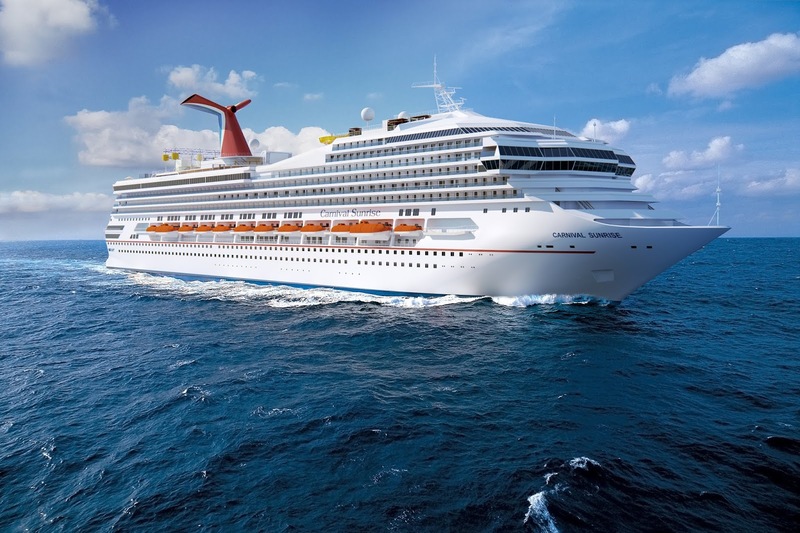 The ship will join Carnival's Sunshine Class and will be named Carnival Sunrise after a two-month-long refurbishment that will take place in Cadiz, Spain, starting March 1. The dry dock makeover will add all of Carnival's wildly popular branded food, beverage and entertainment innovations, as well as update all staterooms in a broad spectrum of new accommodations providing guests fresh and exciting seagoing vacation choices. "The introduction of Carnival Sunrise will provide our guests with an array of exciting dining, bar and entertainment choices. The new Carnival Sunrise is part of our multi-billion-dollar ship enhancement program that is transforming our fleet on an unprecedented scale," said Christine Duffy, president of Carnival Cruise Line. JavaBlue Café: this expanded version of the line's popular coffee bars will offer lattes, cappuccinos and other caffeinated favorites, as well as "spiked" coffees made with liqueurs, and decadent confections. The Chef's Table: a new multi-course dining experience hosted in a special glass-enclosed venue in the forward dining room. Cherry on Top: The "sweetest spot on board," an expanded Cherry on Top features bulk candy, fanciful gifts, custom apparel and a Carnival Adventures shop. Guy's Pig & Anchor Bar-B-Que Smokehouse: a casual open-air eatery featuring "real deal" BBQ favorites created by Food Network star Guy Fieri. RedFrog Pub: Featuring the Caribbean's best rums and beers – including Carnival's own ThirstyFrog Red – enjoyed in a distinct British-West-Indies-meets-Key-West atmosphere. New Multi-Purpose Liquid Lounge: an expansive theater that's home to captivating daytime and nighttime entertainment, including the line's high-tech Playlist Productions revues and audience participation favorite Hasbro, The Game Show. WaterWorks: Featuring a 203-foot-long AquaTunnel slide and Carnival's signature 212-foot-long Twister slide along with a 75-gallon PowerDrencher tipping bucket and kiddie area. Modern, Spacious Facilities for Kids and Teens: including a new Camp Ocean, a colorful marine-inspired play area designed for kids ages 2-11, along with new spaces for Circle "C" aimed at 12- to 14-year olds and Club O2 geared to those 15-17. Expanded Retail Spaces: a mall-style shopping area lined with retail outlets offering fine jewelry, watches, fragrances, and more along with the line's own branded spaces like Hip Fish and The Carnival Store. "These new dining spaces and features complement many of Carnival's signature food and beverage outlets that were added during previous renovations, including Guy's Burger Joint developed in tandem with Guy Fieri," said Gus Antorcha, Carnival's chief operating officer, who has led the reimagination of Carnival Sunrise and many other ships in the fleet. "Carnival's investments are part of an overall plan that is raising the bar on ship amenities and features, itineraries and offshore excursions that our guests are loving." Carnival Sunrise's inaugural schedule from Norfolk kicks off with a seven-day cruise departing the Half Moone Cruise Center visiting Grand Turk, the private island of Half Moon Cay and Freeport departing April 29, 2019. A pair of five-day voyages departs May 12 and 17, 2019 calling at Nassau and Freeport and three six-day cruises departing May 6, and Oct. 14 and 20, 2019, visiting Half Moon Cay, Nassau and Freeport. The ship will then reposition to New York for a series of four- to 14-day voyages beginning May 23, 2019. The program includes four- to eight-day Bermuda cruises, including long weekend sailings to the island departing Thursdays and returning Mondays, along with seven-day fall foliage cruises to New England and the Canadian Maritimes, and two different eight-day Caribbean itineraries with stops at the region's top destinations. Several longer voyages will also be offered, including a 10-day exotic eastern Caribbean itinerary and a 14-day Carnival Journeys Panama Canal cruise highlighted by local dining and entertainment experiences and unique shipboard enrichment activities.